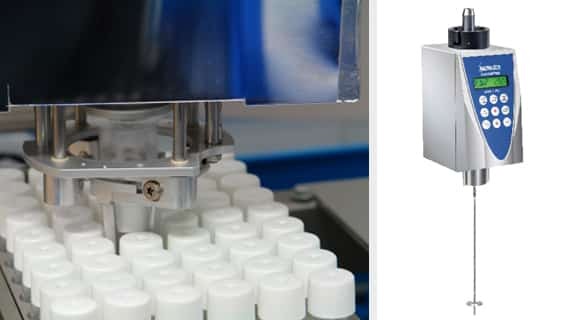 Our proprietary overhead gravimetric dispensing technology in combination with our software allows you to automatically dispense virtually any product (low to high viscosity liquids, pastes, even melted waxes) and subsequently measure its viscosity. Decrease in cost per sample up to 90+ %. Increase in productivity by a factor of 10. Dispensed amount, mixing speed, temperature, time…, and other data are stored in a read only log file. Perfect sample conditioning especially for quality control. Expand your workflow capabilities (e.g. 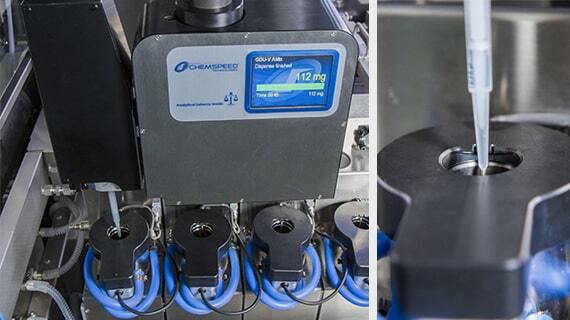 viscosity adjustment, density, pH, mixing, powder dispensing and many more possibilities). 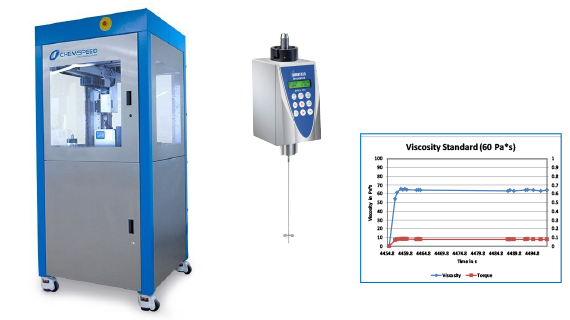 Our proprietary overhead gravimetric dispensing technology in combination with our software allows you to automatically dispense virtually any product (low to high viscosity liquids, pastes, even melted waxes) and subsequently measure its viscosity. Furthermore the concept allows you to measure viscosity virtually everywhere (e.g. 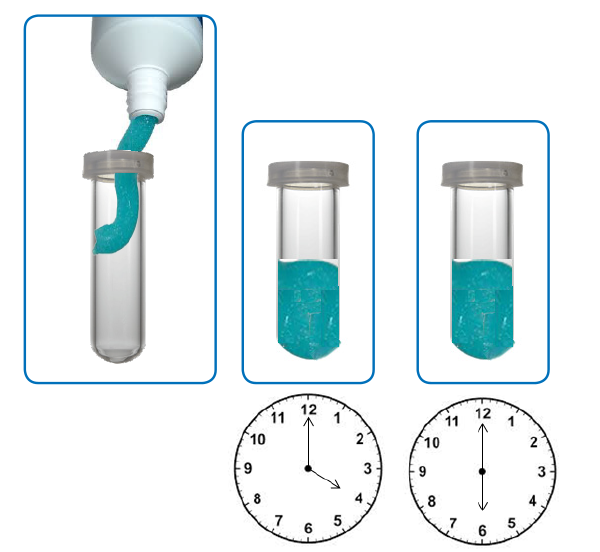 formulation vessel, sample vials). Clean, reproducible and well documented, day by day! Integration of a Viscometer in the flex visco, e.g. Range: 75 – 40’000’000 mPa·s (cP). Accuracy: +/- 1 % of full scale range. Temperature range: -70 °C to +220 °C, depending on deck configuration. Multistep test programs (e.g. 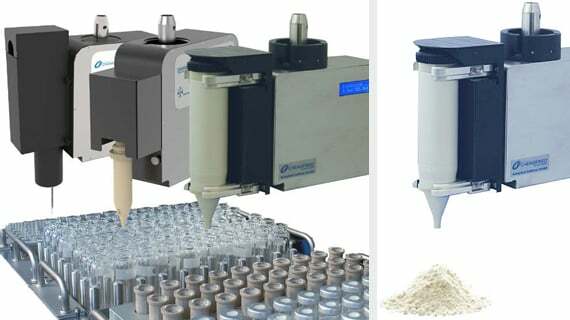 sample preparation or formulation combined with viscosity measurement). Automated and constant z-movements of the Viscoometer (e.g. 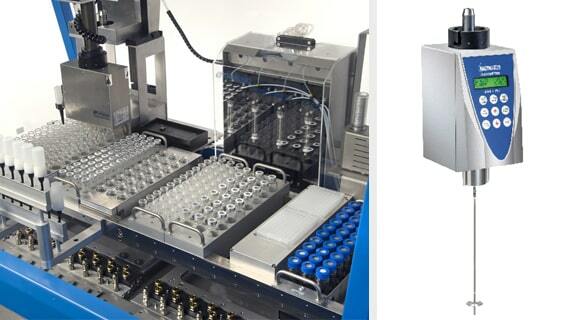 to penetrate a sample and / or to generate z-resolved viscosity data in a well defined and reproducible way). Time coupled measurements (e.g. overnight). Measurement with in-line constant delta time between virtually any action (e.g. 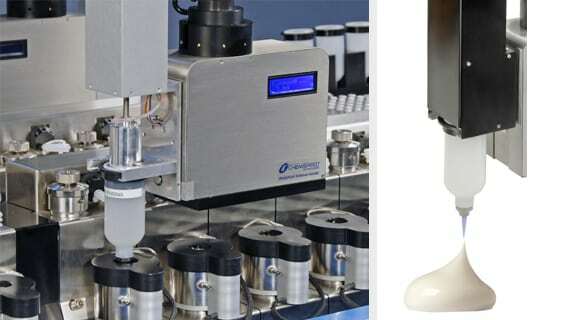 open vial) and viscosity measurement, controlled humidity, controlled temperature, etc.). Washing installation for the viscosity spindle (passive or active washing bath). Viscosity control and adjustment through conditional tasks. One measurement and adjustment at a time. 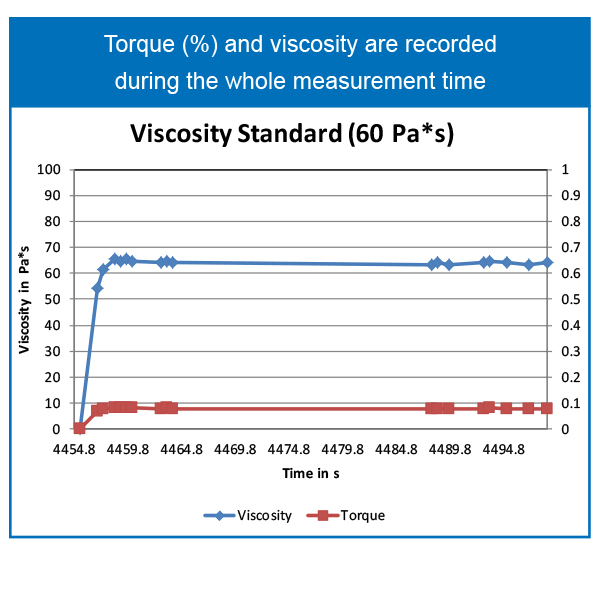 Torque / viscosity logged during all measurement time. Data processing with mathematical models. Automated analysis of user defined values for QC. Import of sets of test parameters, generate template programs of parameters (speed, time of measurement, etc.). Export data along with experimental data sets of choice to Excel, Chemspeed’s Workflow Management Software or virtually any other database. 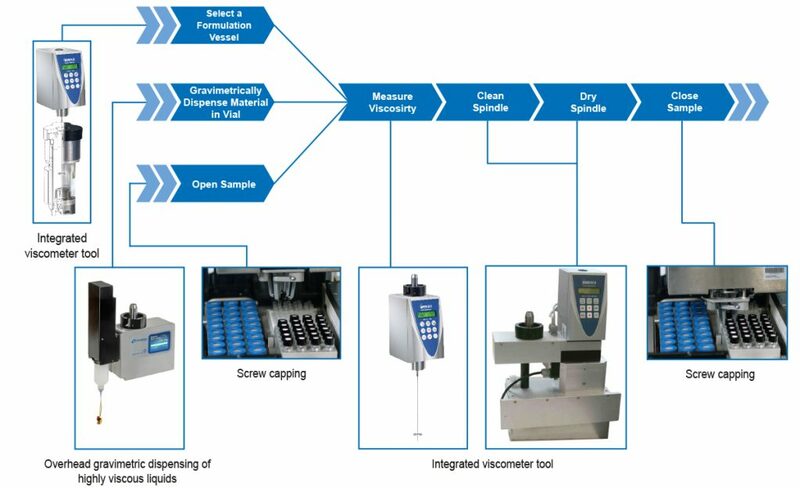 Export data as viscosity in cP or Pa·s, temperature, speed, spindle type, time of measurement.